We are roofers in Bridgend, the company was founded in 2001. 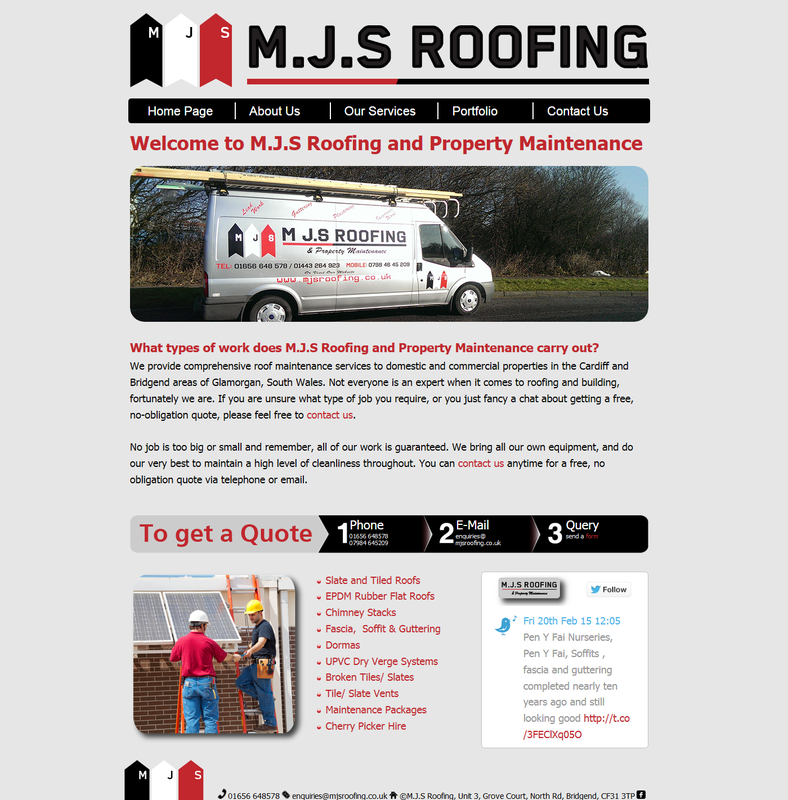 M.J.S Roofing is an established roofing company providing comprehensive roof maintenance services to domestic and commercial properties in Bridgend and surrounding areas of Glamorgan, South Wales. Our fully qualified, time-served roofers guarantee a professional work ethic and excellent workmanship, assuring reliability and efficiency. All of our work is guaranteed, including small repairs. Should you require a free estimate for your property then please feel free to contact us.Our friendly, knowledgeable roofers will be more than pleased to assist and offer advice. Get in touch with M.J.S Roofing today to get a free quotation and arrange a visit to your property to assess your roofing needs. DONT FORGET - We cover everything from small repairs to full roofs, take a look at our services page.